After all, in my mind I figured pulses had to be something about our health, our heart and our pulse. 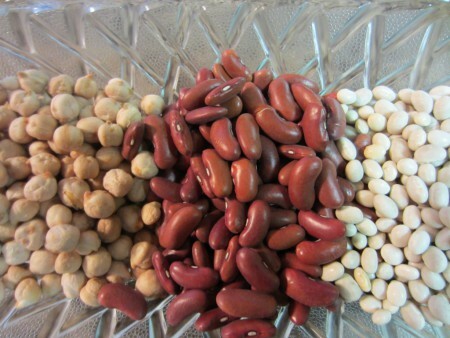 I had a few weeks to read and prepare and in that short time I learned a whole lot more about these seeds called pulses and even more importantly what they had done for the health of our ancestors for many years. Pulses dated way back in history. Dry peas were discovered in a village dating back to the stone age. The ancient Greeks enjoyed lentils and it is also mentioned as a food in the Bible times. Peas were a staple diet in Britain early in the 11th century. The French settlers introduced hearty pea soup to Canada. Ranchers carried baked beans with them as they traveled the winter trails. These early pioneers knew what they were eating and that it was good for them. There were no restaurants along the trails to stop for food in case they were hungry. They knew what they ate in the morning might have to last until evening. Pulses kept them full longer and it still does that for us today. They also found that eating plenty of peas, beans or lentils kept them healthy so why not continue on this “Pulses Rich Diet”. We may wonder how society ever got away from such a wonderfully healthy food. But over the years we gradually slid into a much less healthy and more costly way of living. Our busy way of life & modern inventions brought with it quick and easy to prepare recipes and for many pulses were forgotten. Many were willing to trade these healthy foods for what seemed like great alternatives. Canned, frozen or packaged foods have an extended shelf life, but they also contain many less healthy & even unhealthy additives that are now making us realize this way of living has brought with it many different health problems. In time these additives are breaking down our immune system & compromising our health. Today, studies and as well research projects are proving to us that we need to go back to what our forefathers instinctively knew to be one of the very best foods they could eat. Today this research provides us with the reason these pulses kept our pioneers healthy and strong. For twenty years I have been working on creating recipes with many different pulses. I started by sharing these recipes in self published cookbooks which I still sell on my website at www.winnieswinningways.ca But whenever I turn out a great nutritious recipe that is enjoyed by our family, I add it to my favorites, add them to the cookbooks as I reprint and then as well share many of them in my blog.